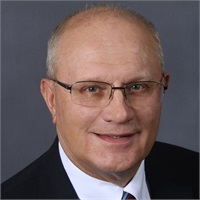 Our Team | Guilford Financial Group, Inc.
Wayne A. Staschke CFP®, RFC®, President of Guilford Financial Group, Inc. has over 30 years’ experience in the financial planning business and has taught Financial Planning courses since 1982. Wayne’s commitment to his clients and dedication to the financial planning field has always been second to none. Wayne has a Bachelor of Science in Business Administration from University of Connecticut. He also holds his Series 7, 24, 63 securities registrations and separately, Life & Health and Variable Annuity licenses. Wayne lives in Guilford with his wife Joan. Wayne enjoys spending time outside and is an avid gardener. Wayne and Joan also enjoy spending time with their 5 grandchildren. He is actively involved in the local Rotary Club. He is on the Memorial Education Board that helps give out interest free loans or scholarships to individuals in town that are going for higher education. Scott A. Staschke CFP®, RFC®, Vice President of Guilford Financial Group Inc. has been with the firm since 2000. Guilford Financial Group, Inc. is a family business and is celebrating 31 years serving the shoreline community. Scott works alongside his father Wayne A. Staschke which has been in the industry over 30 years. Scott’s areas of concentration include Estate Planning, Business Retirement and Succession Planning, Individual/Couple Retirement planning, Portfolio Design and Investment Analysis, Retirement Income Planning/Withdrawal Strategies and Advanced Options Strategies. Along with insurance, life, disability to long-term health care, business pension plans, employee benefits coordination and buy-sell. Scott holds a Bachelor of Science degree from Elon University. He also holds the Series 7, 4, 24, 53, 63 securities registrations, and separately, Life & Health and Variable Annuity licenses. 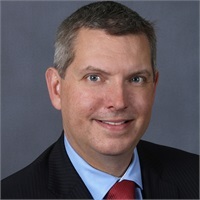 Scott is a Registered Representative with Royal Alliance Associates, Inc. Further, Scott is a CERTIFIED FINANCIAL PLANNER™ Professional and a Registered Financial Consultant®. Scott lives in Madison with his wife Karin and his three wonderful children. On the weekends Scott is busy going to his children soccer games, theater rehearsals and other activities. In his free time he enjoys golfing, biking, hiking and any other outdoor activity. He is an active member of the local Rotary Club. He is currently on the Rotary Club board and is active in the Read to Grow program. 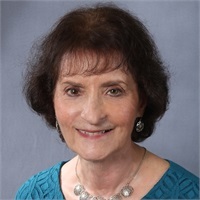 Joan A. Staschke has been part the Guilford Financial Group Inc. team for over 20 years. Her administrative skills allow smooth efficient productivity to flow throughout the office environment. Joan’s positive spirit affects everyone she meets or talks to on the phone. Joan enjoys spending her free time with her grandchild, enjoying her gardens and other activities. 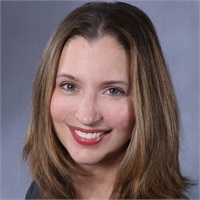 Kelly L. Acquarulo graduated from Quinnipiac University in May of 2003, with a Bachelor’s of Science degree in Finance. Kelly has been with Guilford Financial Group, Inc. since 2003. She provides administrative support for both Wayne and Scott. She handles the day-to-day activities of a busy office including, record keeping, application processing, phone answering and scheduling appointments. Kelly is the welcoming face when you first walk in and the friendly voice on the phone for our office. Kelly lives in Madison with her husband Andrew and her two girls. She keeps busy with sports and involving herself in school events and many other activities. 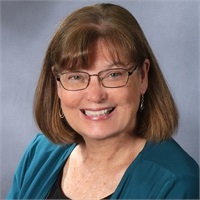 Angie joined the Guilford Financial Group Inc, team in 2008. Angie gives administrative support by maintaining clients’ records and manages the computer database and answering the phone. Angie is not registered.